How can askIITians help you? Indian National Junior Science Olympiad is organized every year by HBCSE at about 15 centres in the country.Indian National Junior Science Olympiad is the second step that offers an opportunity for Indian students to represent India in world-wide championships. It is organized jointly by the Indian Association of Physics Teachers (IAPT) and Homi Bhabha Centre for Science Education (HBCSE). 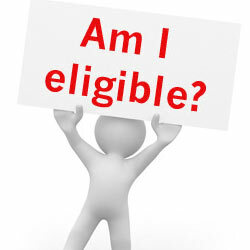 In order to appear for INJSO, students need to qualify the (NSEJS) examination. In addition to this, those students who have been exempted as described in the Enrollment page are also eligible to appear for INJSO. The syllabus for INJSO will be broadly similar to NSEJS with emphasis on conceptual understanding and quantitative reasoning. 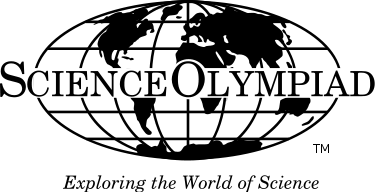 Questions and problems in National Olympiads are usually non-conventional and of high difficulty level, comparable to International Olympiads. Understanding scientific methods and working in the laboratory. Carry out experiments with friction, gravity and density. Say what friction is and explain how it can be helpful or a nuisance. Understanding of how physical and behavioural adaptations help animals survive. Understanding of the differences between solids, liquids and gases. Understanding of how our body senses help us respond to our environment. Understanding of the different types of energy and energy changes. Understanding of how new life is created in humans. Understanding what are acids and bases. Understanding our solar system and space exploration. Understanding natural resources, where they are found and what they are used for. Understanding of how technology has been used to solve problem. Understanding the digestive and circulatory systems. Understanding of batteries’ concept and circuits. Understanding of atoms, molecules, elements and compounds. Understanding of scientific testing of consumer product and the impact of consumerproducts on our health and environment. Understanding of Newton’s First Law (Inertia), friction, Reaction Time, Acceleration, Carsafety. Understanding of human reproduction and inheritance. Understanding of how light and colour are produced. Understanding of how science is used in crime detection. Following are some books which can be used while you prepare for the INJSO. Indian National Junior Science Olympiad past papers have been comparable with international Olympiads in terms of difficulty level and sophistication. These tests are also non-conventional in nature. An INJSO question paper is of three hours. To know more about the nature and format of the INJSO examination paper, you can check out Indian National Science Olympiad previous year papers available with Askiitians.com. Know the complete details of National Science Olympiad (NSO) 2014 Paper Pattern as exam type, questions, subjects and marking scheme with askIITians. askIITians offers excellent tutorial packages for INJSO. The INJSO study material includes a number of Indian National Junior Science Olympiad past year papers with solutions as well as Indian National Junior Science Olympiad previous year papers with Indian National Junior Science Olympiad answer key.